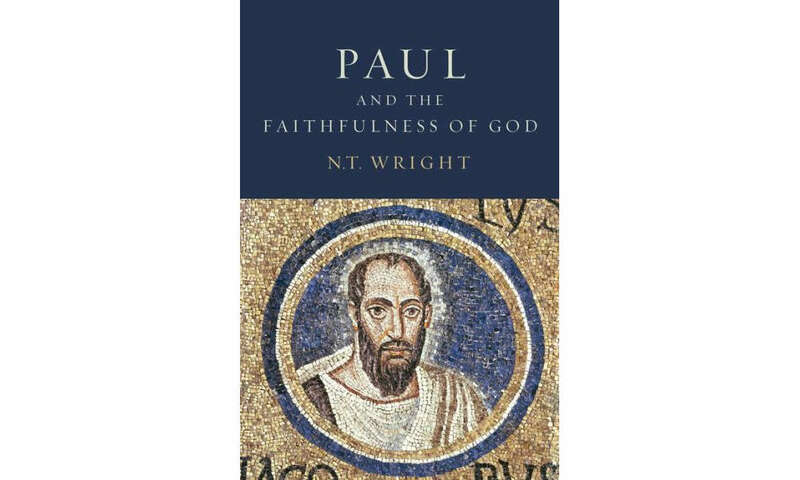 In a discussion of his book in Baltimore last week, Wright said that central to Paul’s gospel is the unity and holiness of the people of God in Christ. I think this is exactly right. Across Paul’s letters, Christ’s Lordship and the work of God in Christ by the Spirit are vindicated and embodied in the unity of God’s holy people. If the church breaks up into factions or becomes a worldly people (these two are nearly synonymous for Paul), then God’s victory in Christ is diminished. Wright begins his project with a (very long) discussion of Philemon and he does so because Paul’s central appeal that Philemon “welcome” Onesimus is the same basic point in Romans (see chapters 14-15), and the same exhortation in Galatians and the Corinthian letters. Whatever precise reconstruction we offer of the situation Paul envisages in Rome, the point is clear: at the heart of his work is the yearning and striving for messianic unity across traditional boundaries, whether it be the unity of Jew and Gentile in the Messiah (the main point of Galatians), the unity of the church under the lordship of the Messiah in a pagan and imperial context (part of the main point of Philippians, coming to memorable expression in 2.1–4), or, as here in Philemon, the unity of master and slave, expressing again what it means to be en Christō. ‘So, if you reckon me a koinōnos, a partner, proslabou auton, welcome him as you would welcome me.’ Or, as he puts it in Galatians, ‘There is no longer Jew or Greek; there is no longer slave or free; there is no “male and female”; you are all one in the Messiah, Jesus.’ That unity, as we shall argue in Part II of the present book, was for Paul the central symbol of the Christian worldview. And, as we shall argue in Part III, it could only be attained, and indeed maintained, through freshly worked theology, rooted in Jesus the Messiah and activated through the spirit (pp. 11-12). I agree that this is central to Paul but I wonder how “holy” is being defined because I would suspect that many Christians disagree on what “holy” means. And this is where the disunity comes in. They are united with those who agree with them on what it means to be holy and not with those who don’t. Therefore, I think no conversation could be fruitful on the unity of the Church without some settlement on “holy”. Yeah, I guess you’ll have to read the book! Seriously, Wright sees Paul’s thought oriented by the church’s unity and holiness. No doubt, “holiness” has been hijacked by all manner of programs, especially–in our context, at least–a post-Victorian sort of purity of personal conduct. But I would imagine that he attaches the term to Israel’s vocation, which has got to be the starting point for thinking about holiness. Given the vital function of unity in Ephesians and apparently in the understanding of Jesus in John 17 as corroborating the truth and wisdom of the gospel, have you thought about the practical and visible manifestations of unity the various churches might start implementing (if, of course, we can agree that unity is central to the thought of Jesus and Paul)? My apologies for back to back comments, but the holiness question is also important. I agree that “holiness” has been hijacked from its biblical sense in much the same way the shepherd-teachers of first-century Israel hijacked it and redefined it in terms of Jewish boundary markers. It seems to be that “holy” must always be thought of in terms of a “way” that is different from the “way of the world.” If the way of Yahweh is to be called the “Holy Way” (Isa 35:8), then according to the gospels (especially Mark), the “Holy Way” is the way of the cross. The cross is the wisdom and way of Yahweh of which Paul is not ashamed, even though it is different from the wisdom and way of Jew and Gentile alike. Paul also makes it pretty clear that the practice of cross is fundamental to the shalom and unity of the church. If the love manifested in the cross of Jesus and the cruciform posture, speech and behavior of the church is central to the way and wisdom of Yahweh, then perhaps we would be on the right track to understand “holiness” in cruciform terms. I haven’t even bought my copy of NTW’s new books, so I dunno where he’s going with this. I’m just thinking out loud. I wonder how he’ll develop his argument with respect to Romans, but it does seem to me that the argument of Romans as a whole culminates in 15:5-9ff., so that the whole thing is directed toward two factions in the Roman church(es) being unified and together existing for (and as) the glory of God.